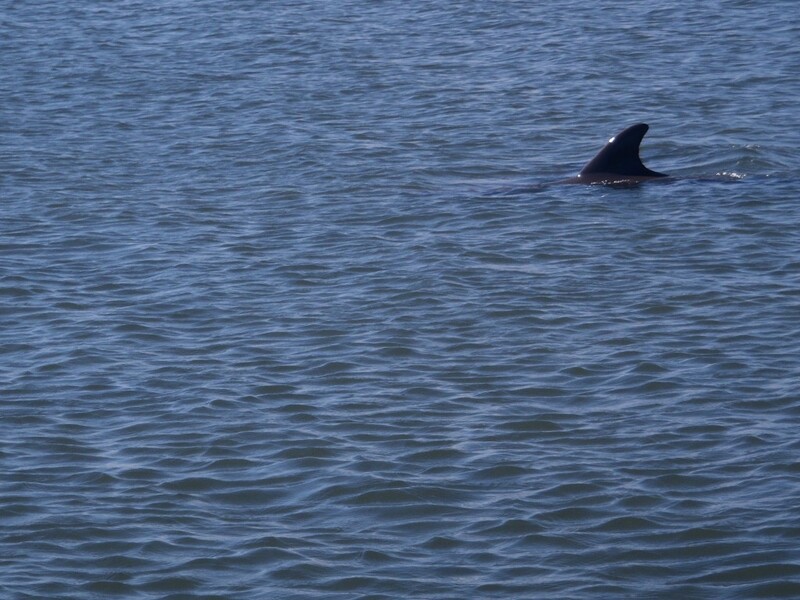 Our river dolphins are Atlantic Bottlenose Dolphins, but they spend their entire live in the Indian River Lagoon. So, if you would like the opertunity to see these amazing creatures, give SUP Eco Adventures a call at 321-507-6058 or drop us an email at supecoadventures@gmail.com. All our tours are by resevation only, to ensure we keep our groups nice and small and limit our footprint when we visit our local wildlife. They are adapted to swim, fish and survive in the different waters of the Indian River Lagoon. 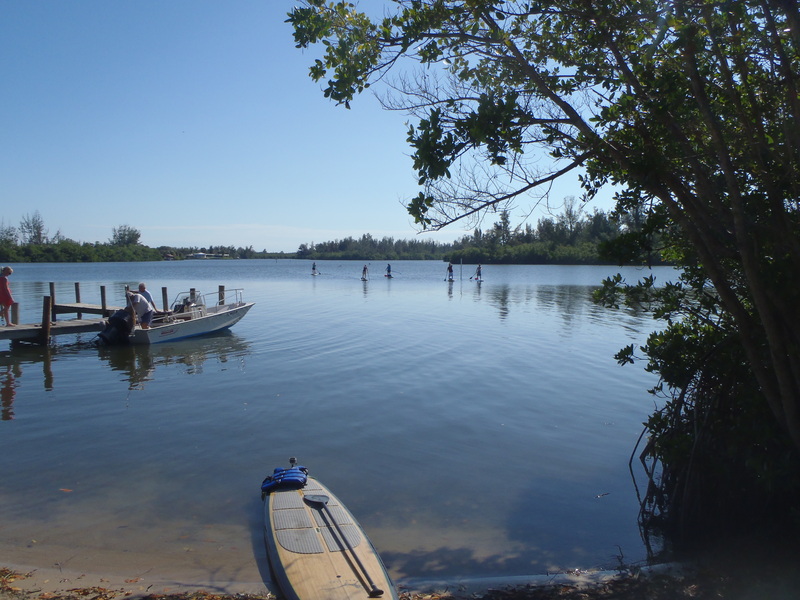 For example, the waters of the Indian River Lagoon average only 3 or 4 feet deep. 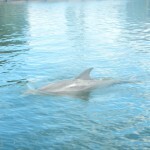 The dolphins have adapted to the swallow waters and can easily maneuver in the area. 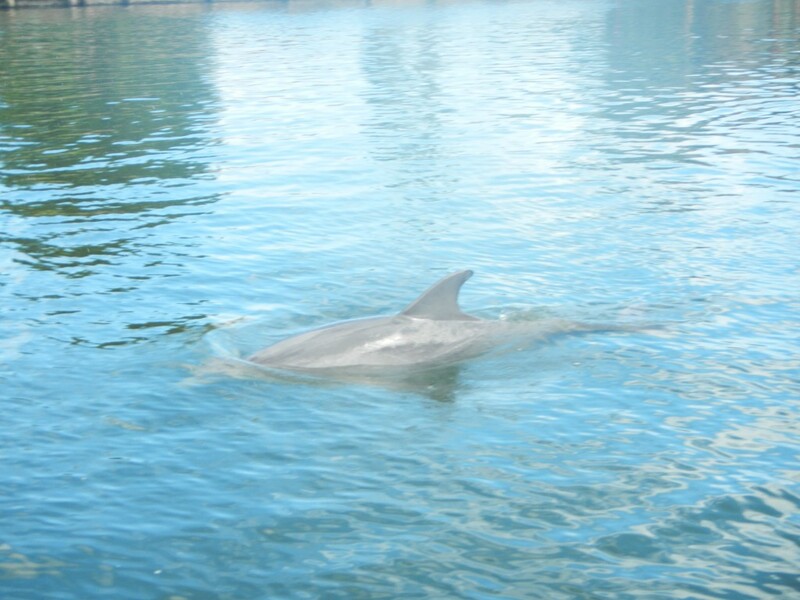 When baby dolphins are first born, they actually have a small amount of fur, which they lose as they grow older. A great way to spend a day in February! Out on the beautiful water in central Florida’s East Coast. 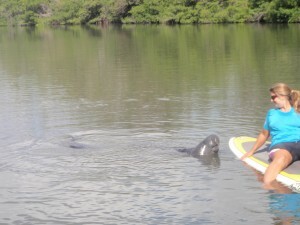 Although, its winter, it’s been very warm, so we have been seeing lots of manatee in the area. 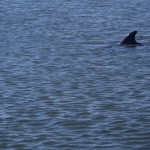 But, we also see our local dolphin, so keep us company and put on some great shows. It’s amazing to sit back and watch. You’ve seen them on TV, in magazines and along the beaches. 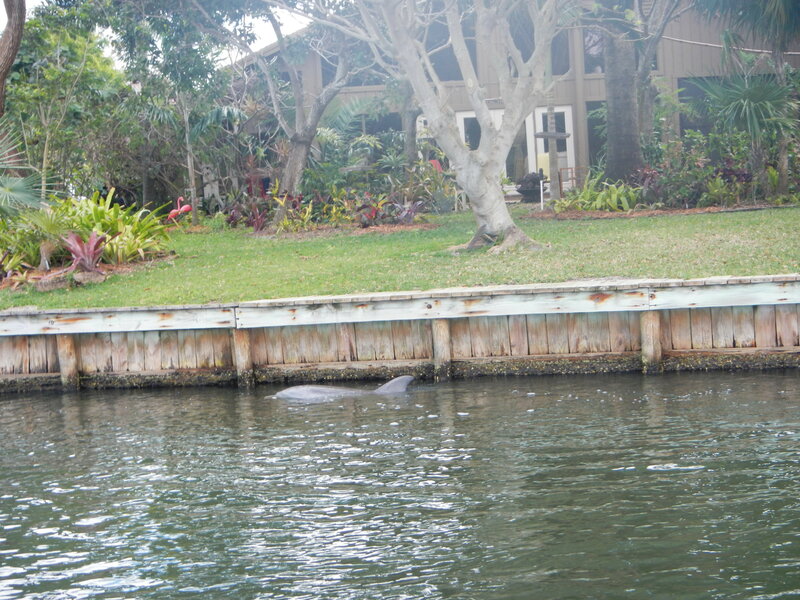 Celebrities and neighbors are all on the water. 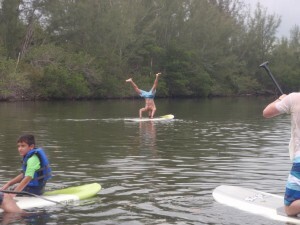 Why all this attention on stand up paddle boarding and why has it become such a phenomenon? 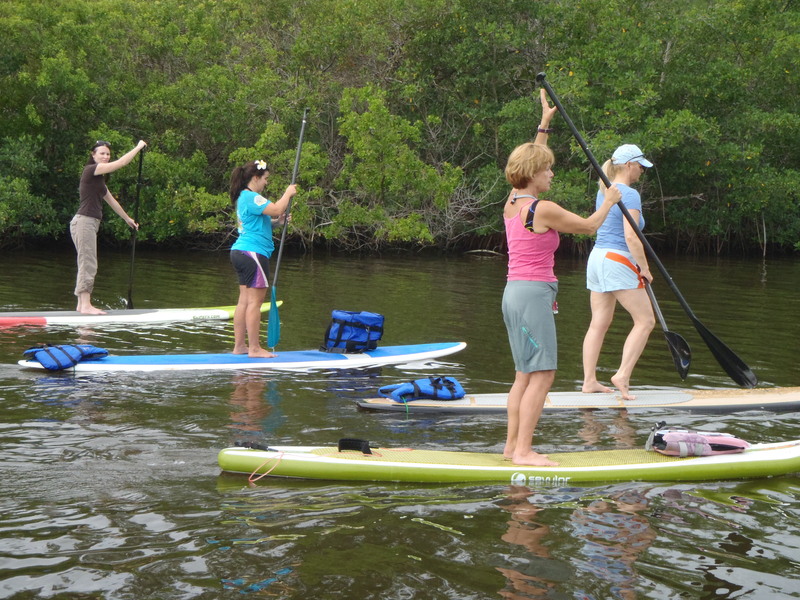 For years people have kayaked and enjoyed the waterways all around the world, but now those kayaks are being replaced by stand up paddle boards (SUP). 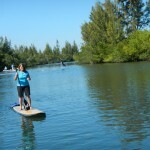 What exactly is a stand up paddle board and why have they become so prevalent? 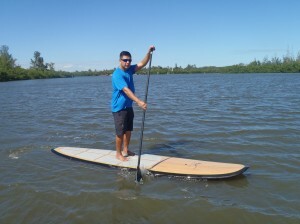 The stand-up paddle board has been described as a surf board on steroids or a cross between a surf board and a kayak. 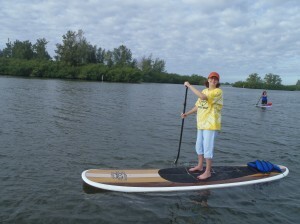 A stand up paddle board is designed to provide flotation due to its increased volume. Most stand up paddle boards can be put into one of three classes, general, race and cruising boards. 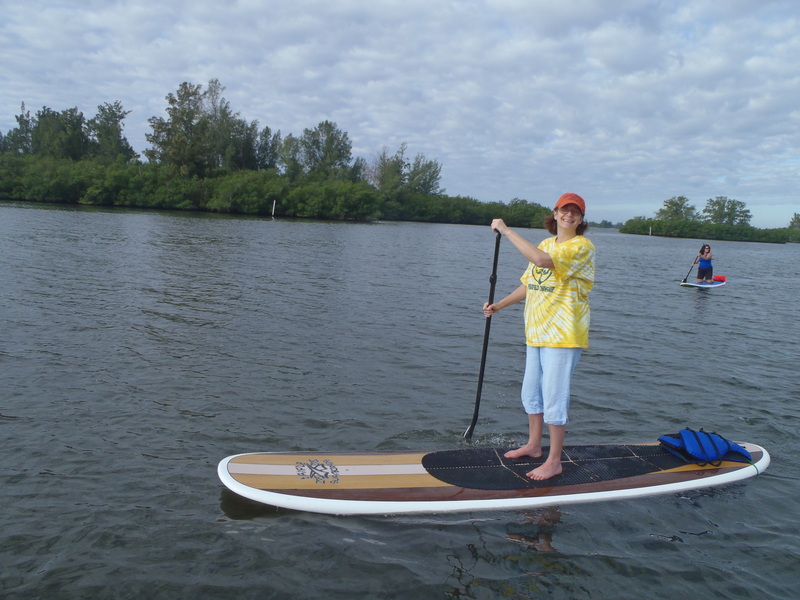 Most boards are designed to be utilized on either flat water or surf. 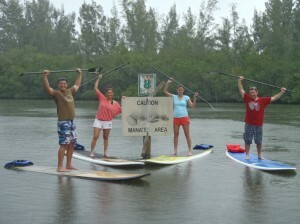 Most individuals when they first start paddle boarding begin on a general SUP board. This is the board which most closely resembles a surf board. It normally has rounded rails, a stringer running down the center, elevated rocker and a deck pad. 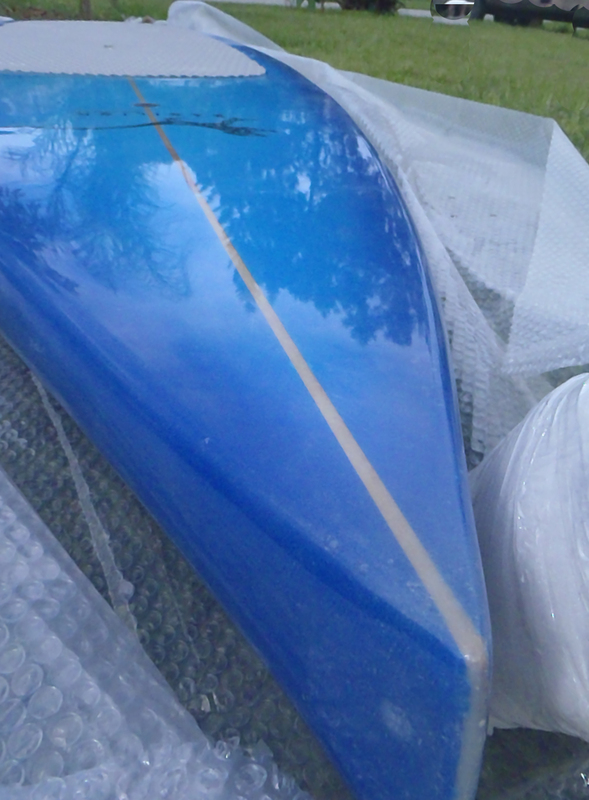 This type of board offers great stability and can be used in either flat-water or surf conditions. The second type of SUP board is the race board. This type of board is a designed to be fast and cut through the waves. This board is generally not used to learn on since its design is narrow and its not normally as maneuverable as a general board. In addition, a race board is much more responsive making it tippier and more difficult to ride. This design leads to a board which is much faster through the water and is best utilized by someone who is experienced. The final board design which is now starting to make its mark on the market is the cruising board. This board is longer than a general board but wider than a race board. This board tracks straighter and is stable. This board will allow you to travel greater distances while carrying additional loads without affecting its paddling characteristics. 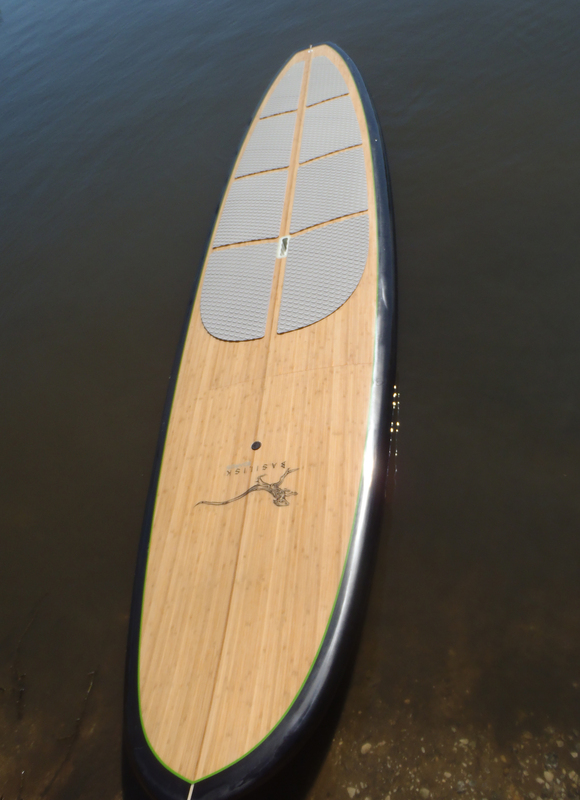 When picking a board, this is just one of the questions you should ask yourself, “What am I going to be doing with the board?” This will go a long way in determining which type of board to purchase and what your overall SUP experience will be. So, whether you’re looking for a board to surf waves, explore the flat-water or do some flat-water exploration, there is a stand up paddle board made for you. First photo of the day for 2012– A great day out on the water with SUP Eco Adventures first and most supportive guest. Loved spending time with her again. As fall sets in on the Space Coast many are turning to the surf which is now kicking up in the Atlantic, but for those individuals who don’t want to head out through eight to ten foot swells, there is another way to get out on the water. 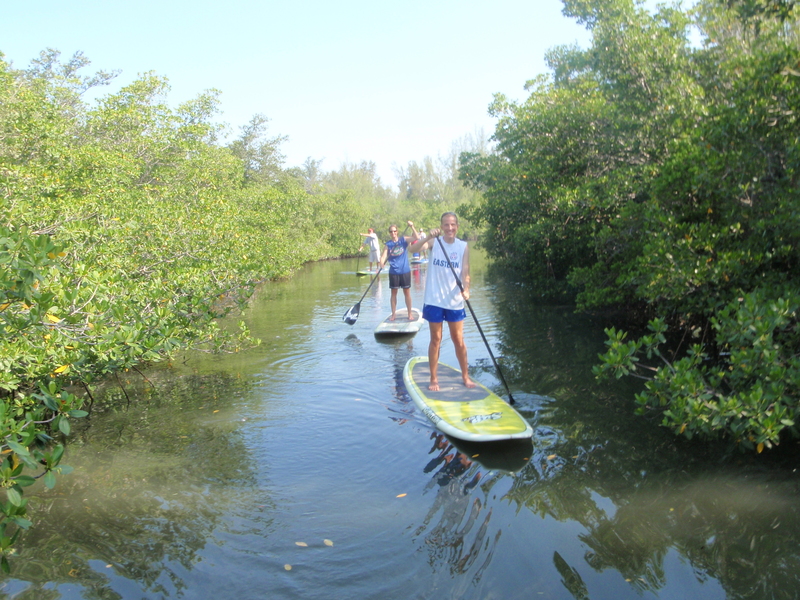 Stand up paddle boarding is still a great way to get out on the water to see the sights, get exercise or just spend some time outdoors. 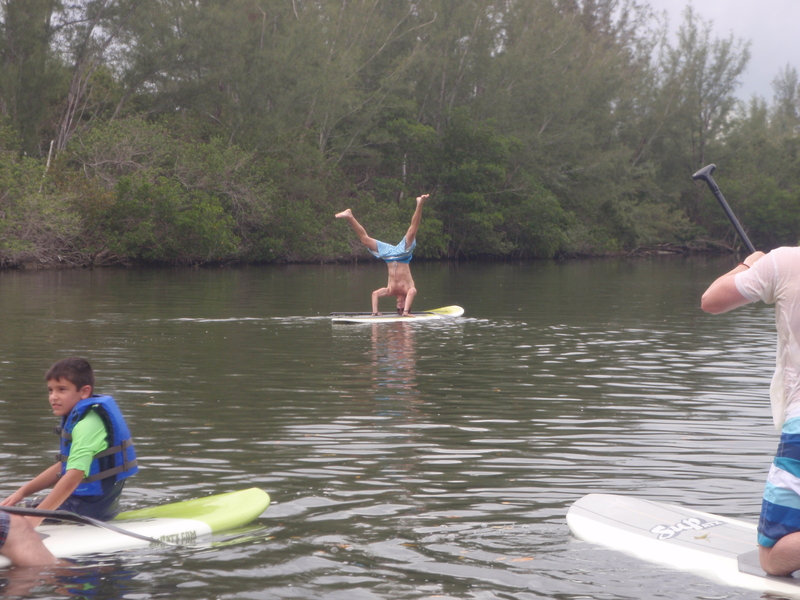 I was in Florida for 5 days and wanted to try Stand Up Paddling. I found Dina and Fernando’s sight on the internet. I loved the tour so much I did it a second time. 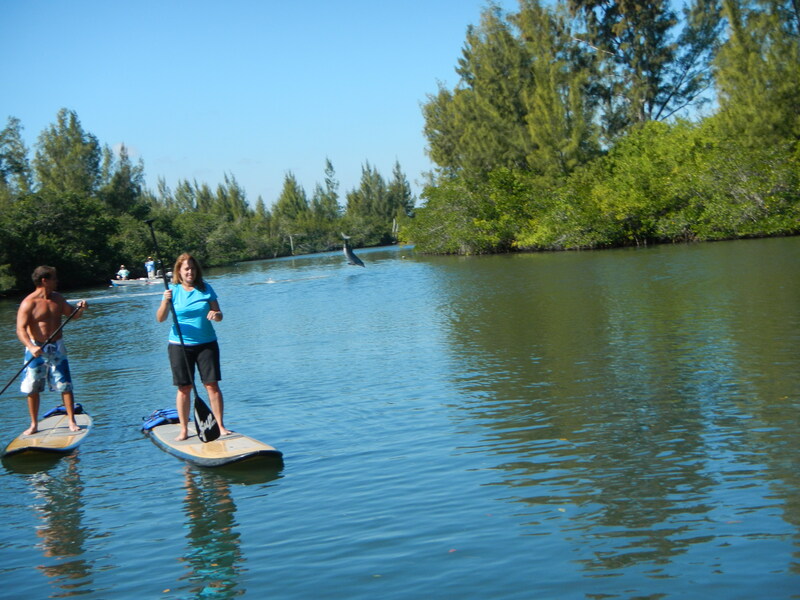 Dina and Fernando have found the perfect spot to paddle board. The water is calm and a perfect place to paddle for newbies and experienced paddlers. 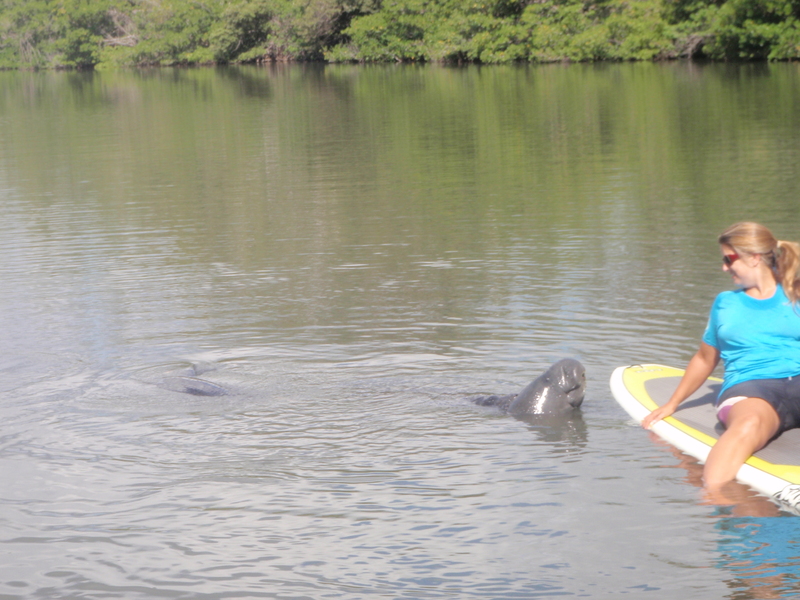 Dina and Fernando go out of their way to make sure your trip is amazing….we wanted to see manatees and on the second trip Fernando spotted some and guided us to them. What an amazing experience. 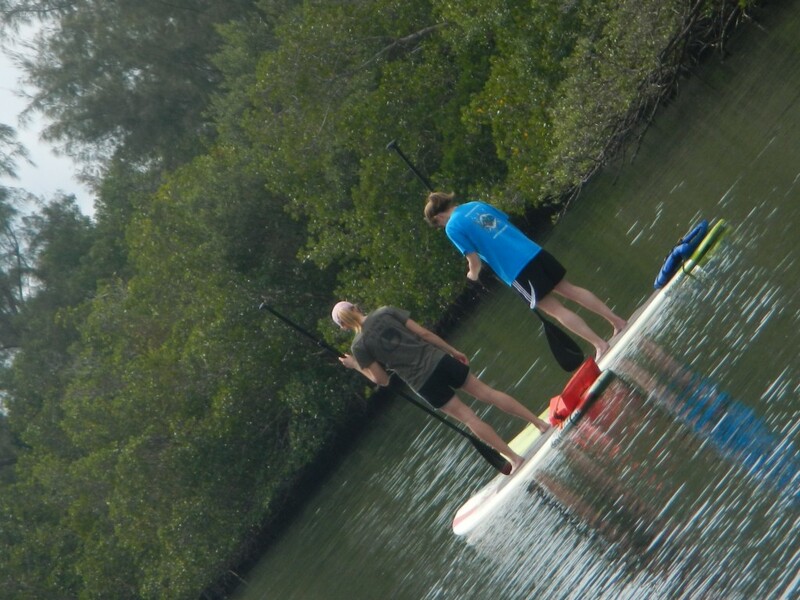 Stand Up Paddling is a great way to get some exercise while being able to enjoy the nature around you. I highly recommend this tour and will definitely be back! this was the best thing to try in melbourne! 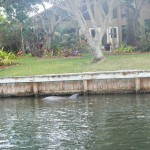 we were able to see manatee up close as well as other wildlife. check them out on facebook!